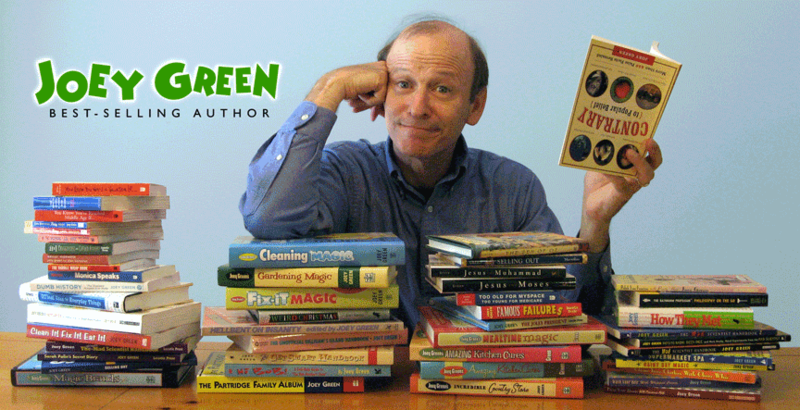 Today we’re excited to chat with Joey Green, co-author of Not So Normal Norbert! 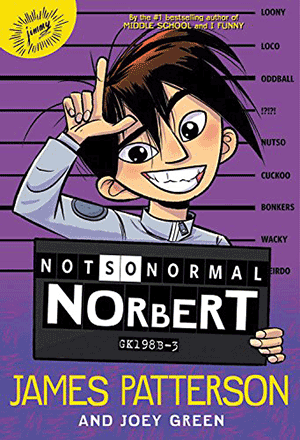 What do you like most about the cover of Not So Normal Norbert? Joey: That it’s on the front of the book. And not accidentally printed upside-down. All seriousness aside (did I say that right? 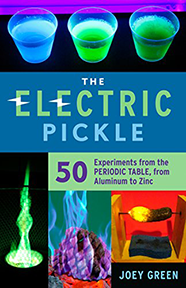 ), I love the cover! It really pops! And Artist Hatem Aly totally captured the perfect combination of Norbert’s exuberance and sense of humor. 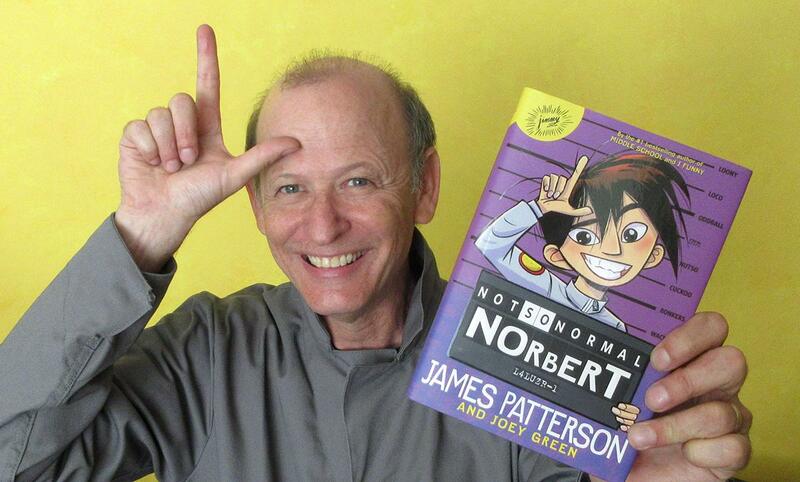 I also love how Norbert is posing for a mug shot and, despite his apparent arrest, he remains defiant, holding up two fingers to make the letter L—for “loser.” Is Norbert making fun of himself? Or is he making fun of whoever arrested him? And I love how the measurements behind him are various levels of craziness and Norbert seems to measure in at “!?!? !” What could that mean? It makes me want to read the book to find out, which is strange, since I already know. If Norbert could recommend a book, which one would it be? Joey: Does Norbert know any great books? On earth, he’s a citizen of the United State of Earth, run by a dictator, where everyone has to conform, blend in, and wear the same dreary gray jumpsuits. Anyone creative or imaginative is considered a crazy criminal. Creativity is crazy! Imagination is insanity! Different is dangerous! So while he’s living on earth (where any cool books have been banned and burned), he finds all the books dull and dreary, like The Conformity Manifesto or Loving Leader’s Guide to Mediocrity (I just made those up). When Norbert, who doesn’t realize how funny and creative he is, gets arrested and sent to Astro-Nuts Prison on a planet in the Orion Nebula, only to discover that everyone at Astro-Nuts is creative and imaginative, he’d be thrilled to discover books that capture his imagination, keep him on the edge of his seat, and make him laugh out loud—like A Series of Unfortunate Events by Lemony Snicket. If you were to set foot in the Astro-Nuts Camp, what kind of activity would you do immediately? Joey: For starters, I’d love to throw some paint balloons to make cool artwork. Then I’d love to participate in a comedy improv group. In high school, our youngest daughter Julia joined ComedySportz, an extracurricular activity coached by a drama teacher who trains the kids in comedy improv. The kids put on a competitive improv comedy game show once a month in the school auditorium. My wife Debbie and I went to every show. One night at the dinner table, Julia told us that ComedySportz was having a parents’ night, where parents would perform on stage with their kids. When she invited me to participate with her, I nearly fell off my chair. I mean, most high school students would die from embarrassment if they had to perform comedy improv with one of their parents on stage in front of an audience of their friends. Awed by her courage, I immediately said yes. So we went to rehearsals together. The drama teacher taught comedy improv techniques and games to all the volunteer parents, and a few days later, we performed on stage together. It was really fun. I wove that experience into Not So Normal Norbert. Which character from Not So Normal Norbert would you like to sit down with and get to know better? Joey: Norbert. I love his sense of humor, his jokes, and his witty perspective. He gets pretty anxious, like a lot of kids do over tests or oral presentations in school, so I’d like to find out why he what-ifs so much and lets his imagination blow things out of proportion. I think Large Marge gives him some excellent advice in the book that can help a lot of kids. I’d also like to get to know Charlene Gordon. She’s funny, smart, clever, and caring. I’d like to know what she did that got her arrested and sent to Zorquat Three. Could it have something to do with chopsticks? Copyright © 2019 Joey Green. All rights reserved. Reprinted from YA and Kids Book Central.